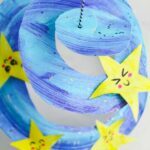 We are celebrating 90’s week with a fabulous 90s challenge over on Instagram, organised by Barley & Birch! 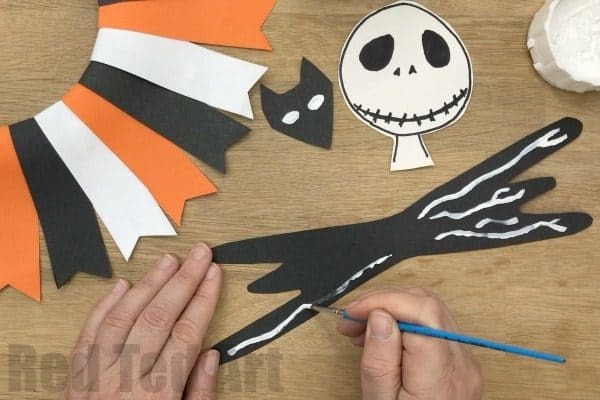 And with Halloween just around the corner, I thought what better way than to celebrate 90’s week but with a Nightmare Before Christmas craft for Halloween.. enter the Nightmare Before Christmas Wreath – I love that this is also a fantastic and easy Paper Craft. 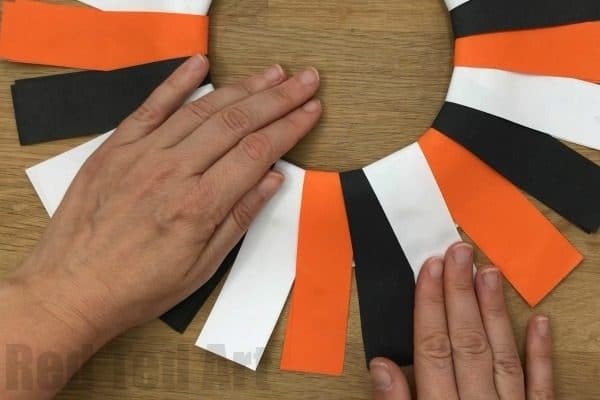 A quick Paper Halloween Wreath to make with the kids. 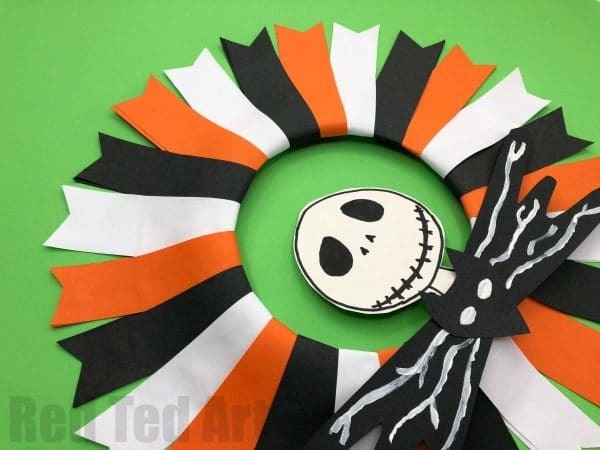 And as Jack Skellington’s face is relatively easy to draw (focus on the eyes and mouth), the kids should be able to make this Nightmare Before Christmas Halloween Wreath too. First up, I need to say that this was inspired by the amazing Krokotak, who created a beautiful Paper Christmas Wreath version too! Please hop over and see the Krokotak’s Wreath. So lovely. 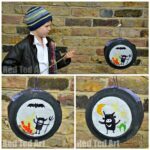 This paper halloween wreath proves once again, that Paper Plate Crafts are not just for kids!!! They are so useful! 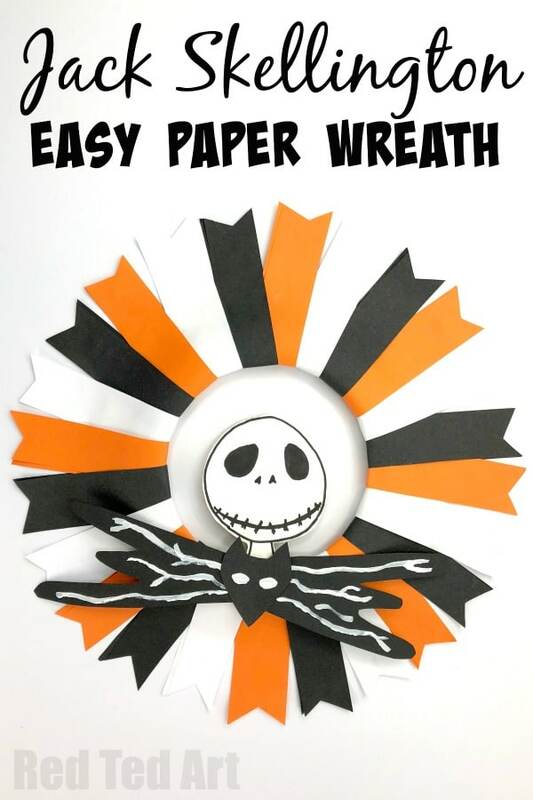 Watch the Paper Halloween Wreath video or follow the step by step instructions below!! Enjoy! 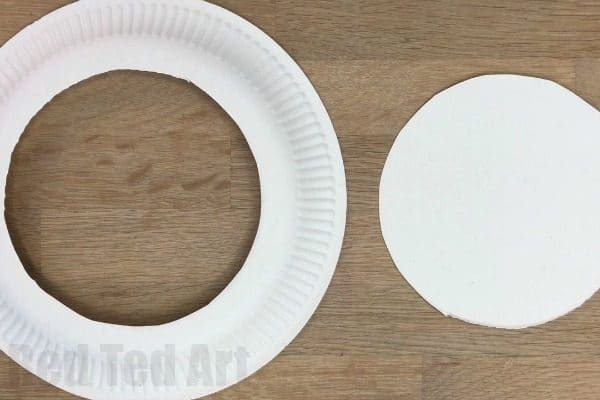 Cut the centre of your paper plate out. Try and do it neatly, as you will use it again later. Cut 24 paper strips out. We used the width of an A4 piece of paper – so approximately, 21cm x 3cm. But it is not an exact mesasurement. We cut them in orange, white and black. 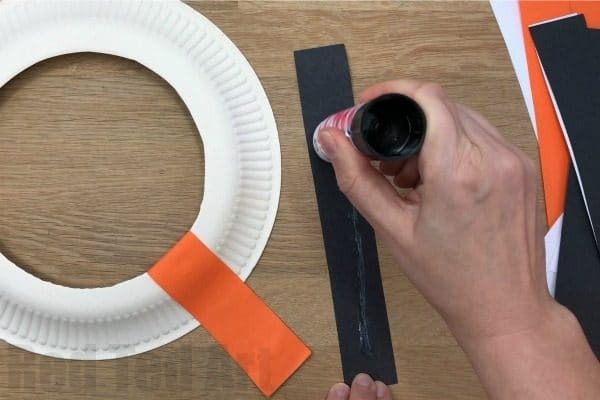 Add glue to one side of your paper strip. 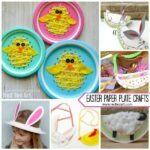 Fold around the paper plate wreath and glue down. Add the next strip, slightly overlapping the first. 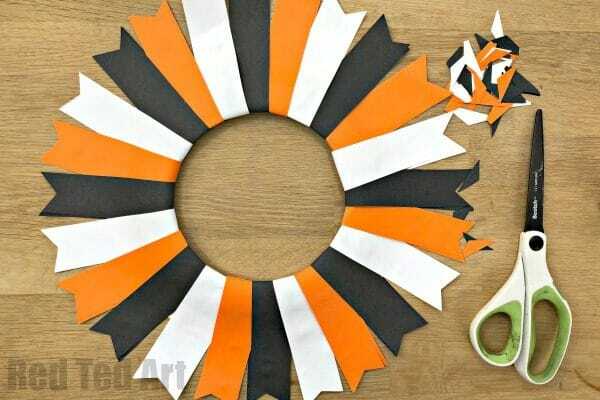 Go round the whole wreath, sticking to your chosen colour pattern. 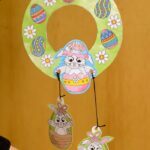 When it comes to the last 3-4 make sure you spread in such a way to close the “wreath pattern”. It happened to work out perfectly for us, using 24 strips of paper. As with Krokotak’s original, it is now time to trim your wreath. 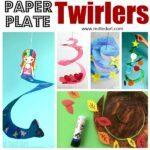 Cut small triangles into each paper strand. 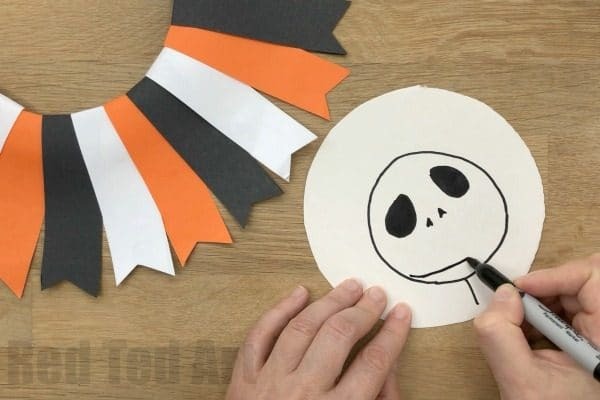 Draw a Jack Skellington Face onto your paper plate centre. If needed practice on paper first. But the circle does not have to perfect. Focus on the big eyes and the long mouth that goes from side to side of the face. Add a little neck and cut out. Now cut a black bow tie and black simple cat face. 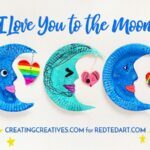 Add finishing touches with a white pen or white paint. 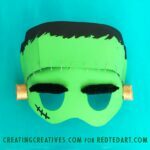 You can also add the cat eyes using white paper and leaving the detail of the bow tie out. Now glue the bow tie and cat onto your Jack Skellington head. 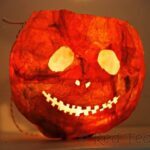 The glue all three onto your paper plate halloween wreath. Finally, loop round a little black and white baker’s twine for hanging. And you are done! Whoop. Isn’t it gorgeous? And oh so simple?! 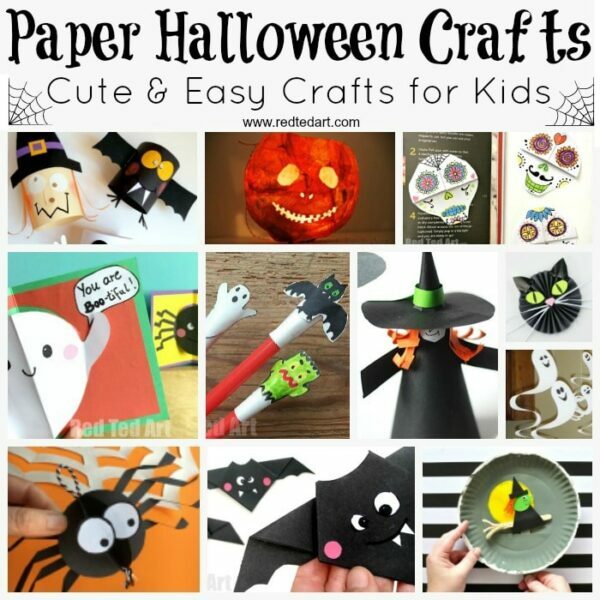 Need more Paper Halloween Craft Inspiration? 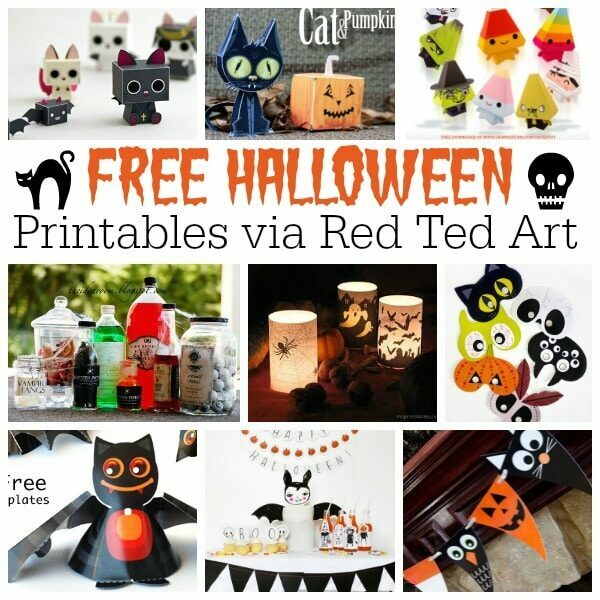 Take a look at these..